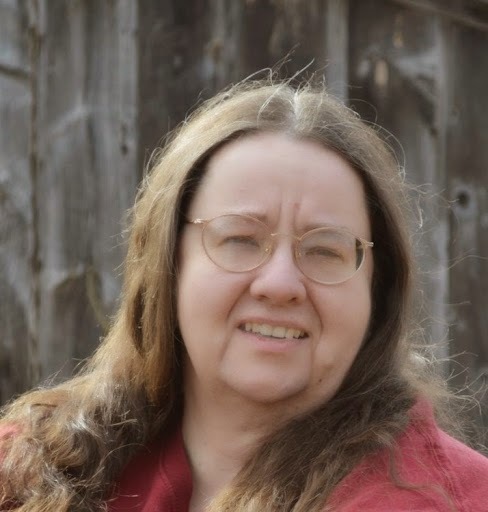 This interview has been a long time in the making, but today THE FREE CHOICE E-ZINE is proud to welcome author Nancy A. Hansen to our humble chat room. Let's start by telling us a bit about your latest work. 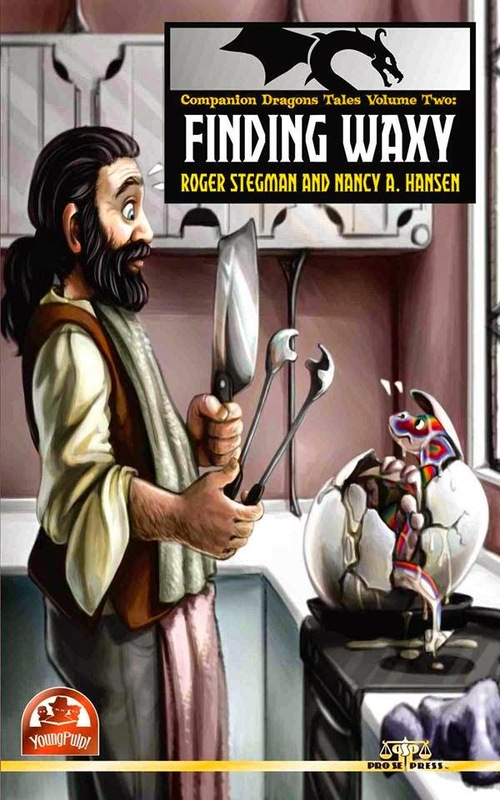 NANCY HANSEN: I've had two recent releases, a short story within a multi-author anthology and a novel. Both are from Pro Se Press (http://prose-press.com/). The first was my story in MONSTER ACES VOLUME 2, “The Swarming”. The premise for the anthology is that a diverse team of specialists in the late 1930s-mid 1940s hunts down and eliminates dangerous beings and creatures that threaten humanity. My story takes the team up to rural New Hampshire to investigate a series of sightings and potential deaths that revolve around contact with strange children who have solid black eyes. What they find is a hive of something rather hideous that needs to be completely eradicated before these recently evolved creatures can spread into far more populated areas. If you are bug-phobic, this one is going to give you nightmares! The cover art is not for my story, but it's another awesome job by artist Jeff Hayes. MONSTER ACES did have a Volume One. Jim Beard, a very talented guy, is listed as the creator, and he's naturally a contributing writer as well. It's a fun concept, with a great group of personalities. I worked with Jim before on the first volume of his MONSTER EARTH anthology series, so I was honored to be asked to be part of the second volume. 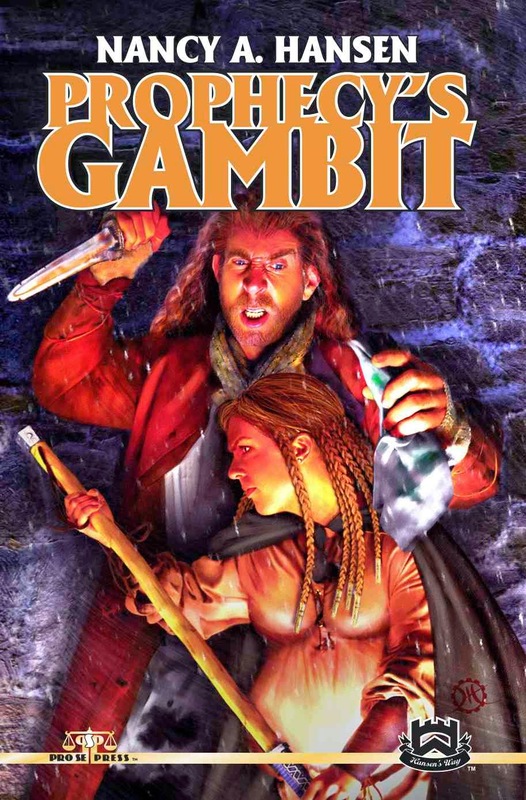 The other recent release was the third novel in the GREENWOOD CYCLE that began with FORTUNE'S PAWN and continued in PROPHECY'S GAMBIT. MASTER'S ENDGAME follows the continuing story of everyone's favorite red haired barmaid, Callie, as well as all the subplots that revolve around her. For those of you who know the series, yes you will find out all the details about Callie's child, and what happens to your other favorite characters too. Lots of stuff going on in this one. This book is part of my Pro Se Imprint, HANSEN'S WAY. TFCE: Now, we like the fact that while you're concluding a trilogy with MASTER'S ENDGAME, each volume is also a complete story. NANCY: That was intentional, because while there are story threads that run through all three books, each is a novel unto itself. That way the readers have a complete adventure, yet are left wanting more. 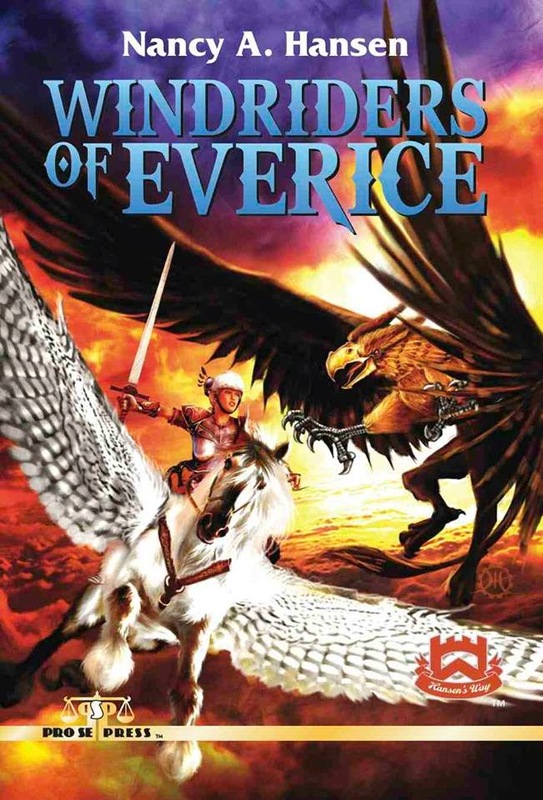 Now as far as MASTER'S ENDGAME, not only is it part of a series, but everything in HANSEN'S WAY is interrelated in that all the books and anthologies take place in the same epic/heroic high fantasy world. These series all have different times and settings, but you will find some crossover characters and team-ups as time goes on. I actually have 5 separate series planned, with 3 of them having debuted already. 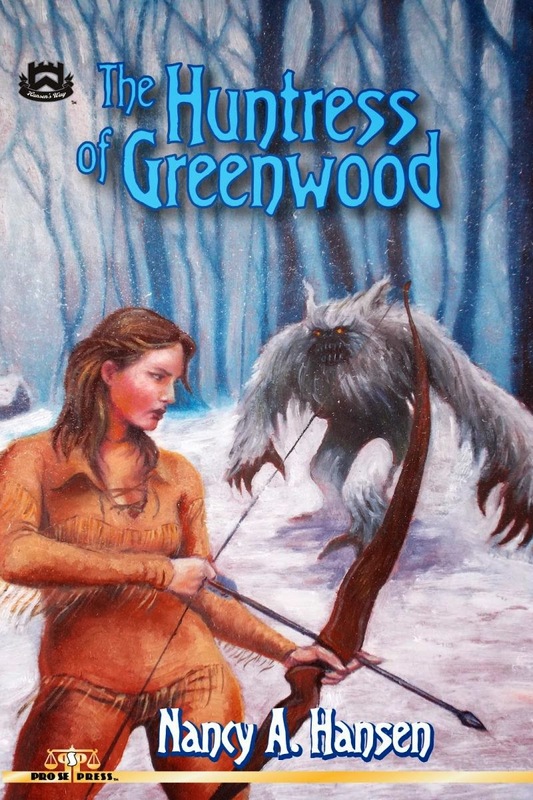 Besides the GREENWOOD CYCLE, I have previously published (all with Pro Se) the first installments of TALES OF THE VAGABOND BARDS, THE WINDRIDERS OF EVERICE, and THE HUNTRESS OF GREENWOOD. (The latter is technically part of the GREENWOOD CYCLE, though not tied into the current series until farther along in time). 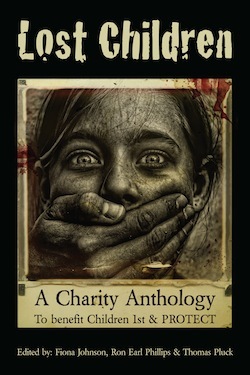 All of those are short stories collected into anthologies. Waiting in the wings for a publication date is the first novel of THE SUDARNIAN CHRONICLES—FORGED BY FLAME. And currently I'm putting together an anthology titled BY THE WAYSIDE TALES. This series will follow the travels of two fugitive characters from the last VAGABOND BARDS short story whom I just could not let go of. TFCE: How did all of this come about? 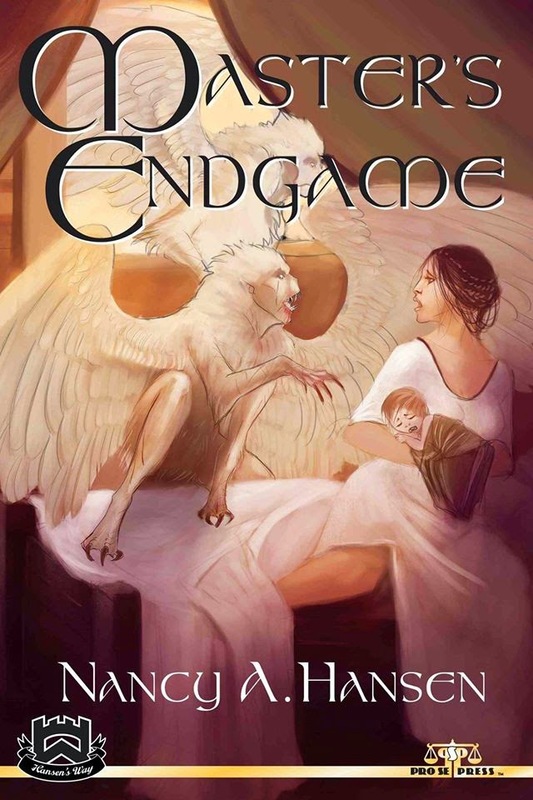 NANCY: Many of the imprint stories were started back in the late 80s/early 90s, when my sons were very young and I was a stay-at-home-mom, taking correspondence courses in writing. Some of them date to the late 90s when I was a volunteer moderator for PRODIGY INTERNET'S BOOKS & WRITING BULLETIN BOARD, which I did for several years. I kept files going from PCs to laptops, and have moved them via the various file saving methods we've used over the years. All of them come out of my deep and abiding love for the stories that enthralled me as a kid and young adult. In fact, the seminal novel that got split into the GREENWOOD CYCLE's first three novels was an 850 page behemoth that I could not interest any publisher in. For Pro Se, I split it up and then rewrote each section to be complete in itself, ramping up the action and adventure while keeping the core story intact and all the myriad characters in place. I think it's a far better concept, and I'm proud of what it's become. TFCE: Sounds like you've been quite busy. What else of yours has either been recently released or is pending release? NANCY: Besides Pro Se having my first SUDARNIAN CHRONICLES novel that is supposed to be out sometime this year, I've also turned in a third THE KEENER EYE short story for Pro Se's SINGLE SHOT E-series. I had done two Keener Eye stories previously for the Pro Se Magazine, PRO SE PRESENTS, which is no longer being published. This was my first foray into the PI genre, on a prompt and a dare from Pro Se's E-I-C, Tommy Hancock. It's set here in my home state of Connecticut, in our modern age of cell phones and all sorts of electronic gadgetry. I've heard it opined that you can't write a PI series set in this technology-savvy age, but I took that as a challenge too. It's been interesting to write, and the feedback has been pretty positive. No idea when that one will be out. I will also have a short story in the upcoming Pro Se steampunk/superhero anthology, SINGULARITY: RISE OF THE POST-HUMANS. That was a concept created and pitched to a group of us by Mr. Jaime Ramos, and it's been enthusiastically put together, and now has a publisher backing it. Great bunch of folks involved, and we're all very honored to share space with the uber-talented comic writing legend, Mr. David Michelinie. Have no idea if we will see it this year or next, but it is pending. 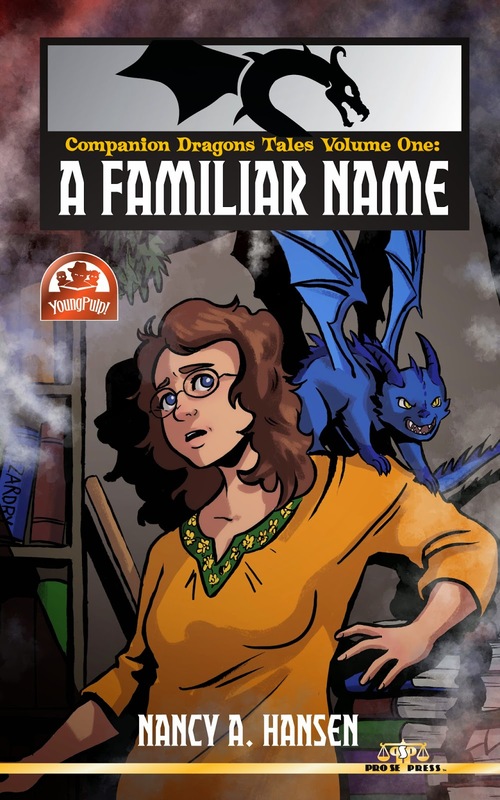 Also due sometime this year is the third installment in COMPANION DRAGONS TALES, a children's series I do for Pro Se's YOUNG PULP imprint. Actually I share the series with two co-authors, Mr. Lee Houston Jr. (yeah, the guy who oversees this blog) and Roger Stegman. Joining Lazlo & Waxy Dragon in having their own origin stories told (A FAMILIAR NAME & FINDING WAXY), Copper Dragon debuts in COPPER'S CHOICE. Like Lazlo, Copper is 100% my creation, though we share a world created by the three authors involved in the series. These are fun stories; full of magic, zaniness, adventure, and all the bad puns you can groan at. We've tried to make the series something that children can share with the adults who love them. Some of the most ardent CDT fans are grownup kids. Now, Pro Se isn't the only publisher I deal with. Last year I pitched an idea for a pirate series to Ron Fortier of Airship 27 (http://www.airship27.com/). I told Ron my plan was to make these buccaneer tales action fiction with a historical backdrop. The main character is a young, mixed-race woman who, disguised as a boy, signs herself aboard a pirate ship to follow the man she has fallen in love with. Ron, unbeknownst to me, is a huge pirate story fan, and he was very enthusiastic about the project from day one. The first novel in that series: JEZEBEL JOHNSTON—DEVIL'S HANDMAID, should be out sometime this summer, I am told. Notice that this is a series. I have at least five books planned for it. This is an idea I'd been kicking around for a couple years, and it just became right place/right time to work on it last year. I was pretty well caught up with all my other writing deadlines, and had started sketching out the character and researching the material I'd needed when I made my proposal. I also turned in a rather long short story for A27's SINBAD-THE NEW VOYAGES series, which features multi-author anthologies as well as at least one novel that I know of. It is a captivating series with an eclectic cast of characters and a great Ray Harryhausen feel to it. 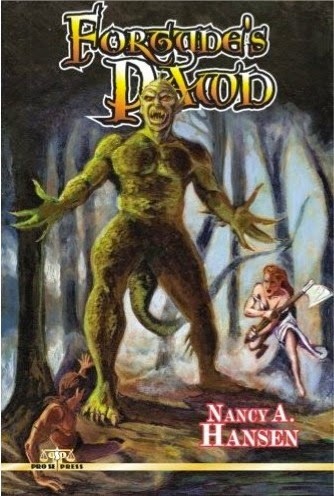 I loved those old stop-motion movies with all the mythological monsters and beings, so I was thrilled to be on the ground floor of it, with a short story in the first release. I have been champing at the bit to do another one. No idea when my new tale, SINBAD IN THE LAND OF FIRE AND ICE will be out, because there are already four volumes in print and more planned. I should also mention that fellow author and Prodigy Internet refugee Lee Houston Jr. (yeah, him again) and I have co-written a TALES OF THE HANGING MONKEY story for A27 as well. Not sure when that one will be out, but it was a lot of fun working together, and we managed not to kill each other in the process, LOL! Lee put such an ironic Easter Egg twist at the end of that story, I didn't even see it coming. You're going to love it. TFCE: How do you manage to keep track of, let alone find the time for everything? NANCY: Even with my great love of reading and writing, it isn't easy. Life handed me a velvet monkey-wrench, in that my DDIL got a chance to get off third shift and onto a day shift, but would need a daytime babysitter for my five month old grandson. I can't say no to that little man, so I went from being an empty nester with a laid-back schedule, to part-time and eventually full time diaper changer and bottle washer. Writing had to get squeezed in when and where I could manage; before and after the little guy arrived for the day or escorted mommy home, or during naps and the occasional day off. I had also planned and planted this huge garden. So the juggling act can be difficult at times. Taking on JEZEBEL JOHNSTON on top of my other projects, I now had a new book commitment, with a far bigger learning curve involved than I had ever anticipated, and barely any time to work on it. I've always loved pirate stories and movies, but I had never tried writing one before. I based most of it in the Caribbean, in the beginning of the golden age of buccaneering. I wanted the setting to be authentic and the characters to ring true. As I began reading up on the background material I needed to know for the book, I realized how little I understood about pirates. In my research I began to understand the social/political climate behind the Caribbean colonies pirates preyed upon, and that there was an overwhelming amount of the sailing terms and ship details I knew nothing about. All through that research there was an abundance of ideas and concepts, terms and background history, bouncing around in my head. I felt I'd taken on far too much of a project most days, because I was often doing more reading than writing. But I kept picking away at it, and over the months, I found myself understanding increasingly more of what made that seafaring era so intense, as well as what some of those strange words I kept stumbling across actually meant. It was like learning an entire new language from a world I had never even visited. Most days I was lucky to get over 150 words on a page. It took me 5 days short of nine months to give birth to that novel. I started in February, and I turned it in right around Thanksgiving. That it was embraced so ardently was absolutely thrilling to me, because I had been ready to give up and chuck it aside a dozen times. I dreamed about it at night, and I saw pirates leering at me everywhere I went. But in the end, it got done, and done right. That's a pretty awesome feeling. Oh, and while I was working on that book, DDIL found out she was pregnant with another grandbaby; a girl this time. The little lady was born right before Thanksgiving too. It was quite a productive year, and now I babysit both of them, but am still managing to write, including the Jezebel Johnston sequel novel. TFCE: Why do you write what you do? NANCY: That's an easy answer—I love what I'm doing. I try and write the kinds of stories I would enjoy reading. Whenever I get fan feedback, I know instantly what I'm doing right and wrong. I may never have a New York Times Bestseller, or see Peter Jackson direct a movie based on one of my novels, but I've accomplished something I set out to do 26 years ago. I've got multiple books in print, and people are reading them and finding them entertaining. That's the best reason of all. TFCE: What inspires you to write? NANCY: I have stories to tell, ideas to get across, things to say. In this day and age, when social media is everyone's bully pulpit, and we're all just a cellphone cam or drone pic between anonymity and world exposure, I prefer to go someplace where I can shut out the world and inhabit one I have some control over. I'm a creative person at heart. I cook, I sing, I garden, I craft things... but writing best helps me express those ideas and feelings that are so deep within. Nothing else can bring them out as well. I take things from the everyday world that move me, try and find a way to turn them upside down and inside out, and put them in a story. I can vicariously live lives I would never dare dream of and experience things I haven't got the guts to try. If I want to be evil and nasty, I write a good juicy villainous scene. If I'm lonesome and feeling ugly and unwanted, I can create a love scene to make you sigh. I get to do things in a story that in the real world I'd get arrested for and be locked up. Writing is a great place to make heroic characters out of people you admire, or take out your frustrations and kill all those annoying dolts who make the world miserable. And you get to do it in your pajamas, with pepperoni pizza breath, and uncombed hair. Sure beats the snot of most of the jobs I used to have! TFCE: What has influenced your style and technique? NANCY: I could list you a whole bunch of books and short stories, along with some movies, TV series, poems, and the occasional song, but that would only be part of the equation. 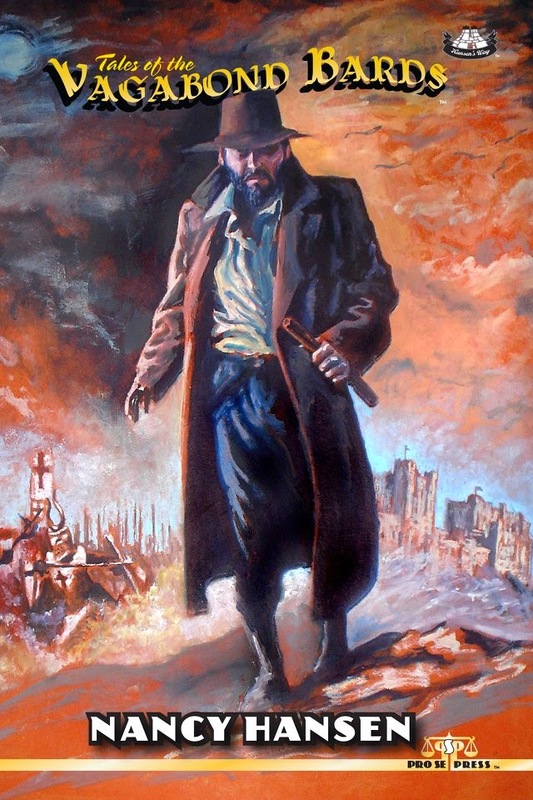 I have authors I admire, and I work somewhat in the tradition of the old Pulp stories, which were plot driven and packed with action. Yet I have to admit, I straddle the line between mainstream fiction story telling and that fast-paced action adventure that made Pulp so popular. At the core, I still write the kinds of things I'd enjoy reading. I might borrow an idea here and there, but I'm doing it my way. TFCE: What would be your dream project? NANCY: The only thing that comes to mind is watching a book or series capture the heart and soul of a mainstream audience, and then having it made into either a movie or a premium cable series. I know there is some danger in that things will get changed so that it's not recognizable as your own work, but I'd find it fascinating to see who gets to play Callie, or Kendahl, Jezebel Johnston, or even Kate Keener, and how the story arcs would be carried out. You notice I didn't mention working on someone else's concept or properties? I've certainly done that to some extent, and will continue to do so as long as I'm welcomed to; but I'm primarily a creative maverick who likes to work on her own stuff. There is no difference in the quality of what I write, whether it is working with someone else's character(s) in a pre-determined world, or all original material that falls out of my head onto the page. Whenever I sit down to write, I try and give you the best possible story I can. I just have the most fun making things up from scratch. Oh yeah, and my big pipe dream includes having household staff to handle housework and cooking; a personal assistant to answer the phone, keep my schedule straight, and deal with all the self-promotion stuff I dread, and yard help to mow, pull weeds, and clean up after me when I'm puttering around my garden. Wouldn't that be lovely? TFCE: Where do you foresee yourself within the next few years? NANCY: Exactly what I am doing right now, with hopefully more time allocated to the creative endeavors, and less on the mundane stuff. I'd like enough freedom to do all the things I love, and spend quality time with family without feeling guilty about what I can't get to. Life is short, so you want to have as much fun as you can pack in, and still spend it with loved ones and doing things that matter. Hopefully at some point I will get to the stage where I'll be able to support myself writing, and actually contribute financially to the household budget. TFCE: As an author, how would you describe any contact you've had so far with readers/fans? NANCY: Very positive! In fact, I would love to thank the people who have bought my books, enjoyed them, and have taken the time to tell me so. Or even if someone didn't like something, but politely and tactfully told me why. You have no idea how vital that kind of feedback is! My readers are the audience, and they're the reason I'm writing, so I want their voices to be heard. I've chatted with some of them online or in person, and nothing tickles me more than to have someone ask about a specific character as if it was a relative or friend of mine that I had mentioned a while back. I've had people tell me something I wrote moved them, or made them afraid of some inner dark place I took them to. That's how I know I've been effective, and that I must to keep doing what I am doing. Please folks, if you really have strong feelings about something I've written, I want to know that. This is a lonely business and sometimes you wonder if you're wasting your time banging on the keyboard while laundry goes unwashed, meals don't get cooked, and you could be earning a lot more money as a door greeter at Walmart. I'm not in a financial or personal position right now where I can go out to conventions and meet you in person. I don't have big book signings and author meet & greet dates. You won't find my books on the shelves in your local brick & mortar store, or in your local library. Heck, even if Oprah still had her show, I doubt she'd have me on there to talk about what I'm writing and why, because I'm not trying to change the world as much as entertain it. The only way things like that can happen to me is for there to be a grass roots buzzing by fans recommending whatever of mine they've read to other potential fans. So every time you suggest someone reads one of my books or stories and they do, you put another little ripple with my name on it into the big ocean of Indie Authors. Eventually, that might become a tidal wave of support, and that's when I can justify the travel time and expenses. 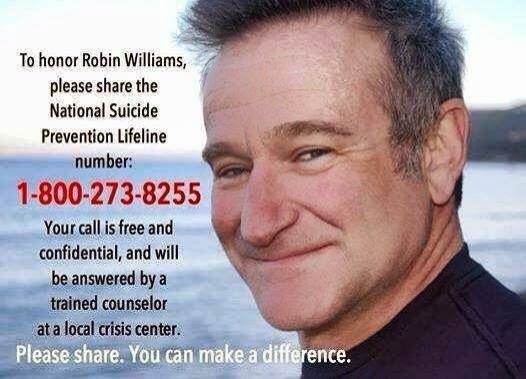 You all do that for me, and I'll keep writing for you, and we'll all be a lot happier. TFCE: Any other projects you would like to promote? NANCY: I always have projects going, and stuff on the back burner, but I don't currently have anything exciting to report, other than I am working on several potential 2016 releases. I do write for my little rural town's monthly newsletter, mostly about being a country dweller and what we face out here in terms of rural small town life. That's a gift from me to the community I became part of back in May 2011, when we bought this old farm, with a house built in 1770. Feedback has been pretty good on that. I still do some editing, but I've had to cut way down on that because there just aren't enough hours in the day for me, and I have made writing my priority. I have at times spoken to children in school systems about the importance of writing, and I've worked with adult writers who just need a bit of guidance and reassurance. I love to talk about what I do, and to de-mystify just what makes a story work, because I'm very passionate about it. I do have a couple of writing blogs that I really should update far more often (http://nancyahansen.blogspot.com/ & http://magicdragonverse.blogspot.com/). I'm also on Facebook and G+ regularly. And yeah, I use my actual name. In this time of entertainment delivered by electronic gizmos, it's so very important to be able to express yourself in a way that is both engaging and easy to understand, because you're competing with so much else that has people's attention. I spend a lot of time going over the things I write to make sure they are the very best I can make them. While I'm sure there must be story-planning apps out there, writing is one of the few craft areas where no matter how you make it happen, or how it gets presented, you have to actually sit down and put the thing together by hand. I can't digitally paint a story, or Photoshop it from images found online. There's no 3 minute microwave version, nor GPS to talk me through from start to finish. I doubt a book would be very interesting in text shorthand, and I have yet to see one composed in synthesized notes. The CGI-only version still needs a script to follow. You might be able to print my books on demand by pushing buttons on a machine, but I had to sit down and write them first. Doesn't matter if it's by pen on paper, or keystrokes showing up on a screen, because the contents came out of my head. We writers are kind of the last bastion of manual creators, and I like that idea. As I said, I'm a creative maverick. TFCE: Well, thank you for your valuable time Nancy. All releases are available through Amazon and other outlets.